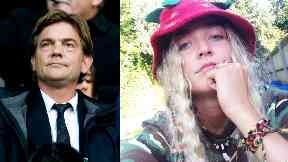 Ceon Broughton allegedly gave Louella Fletcher-Michie party drug 2-CP at Bestival. A man filmed his girlfriend as she lay dying of a drug overdose at a festival, a court has been told. Louella Fletcher-Michie overdosed and died after her boyfriend, Ceon Broughton, 29, gave her the drugs, it is alleged. The 24-year-old daughter of Taggart actor John Michie took the Class A party drug 2-CP at Bestival, in Dorset, on September 10 2017 and died an hour before her 25th birthday. Winchester Crown Court was shown video clips of Ms Fletcher-Michie repeatedly shouting at Broughton to telephone her mother, Carol Fletcher-Michie, but Broughton tells her to "put your phone away". Ms Fletcher-Michie eventually spoke to Louella at 6.48pm and grew concerned after she "could hear her screeching". Prosecutor William Mousley QC told the court: "She told her husband that they needed to get to her and they dropped everything to travel from north London to Dorset." Her brother, Sam, also contacted Broughton and urged him to seek medical help. But Broughton sent Sam a message which said "call back in an hour" and referred to Louella as a "drama queen", the jury heard. Jurors were told Sam also knew Broughton and had been given 2-CP by him previously. When Sam then asked if Louella had taken 2-CP, Broughton told him: "Yeah, but I bumped it up a bit." Mr Mousley said Sam thought that meant "either a larger dose or a combination of it with other drugs". As Mr Michie searched the festival site, Lulworth Castle, when he arrived with his wife, he messaged Broughton asking if he had sought medical help, Mr Mousley said. Ms Fletcher-Michie also sent a message which said: "Please message me that Louella is okay." Mr Mousley added: "During that extended period of time when they were together, (Broughton) filmed her on a number of occasions. "He filmed her when she was disturbed, agitated, and then seriously ill over a period of hours. "He even did so, the prosecution suggest, after she was apparently dead." He said that a month before the incident, Broughton was handed a 24-week prison sentence suspended for one year. Broughton has also previously pleaded guilty to supplying 2-CP to Louella and her friend at Glastonbury Festival in June 2017 - a different incident to the suspended sentence - the jury heard. Mr Mousley said: "His failure to get her treatment which may well have saved her life was borne of selfishness and in self-preservation. "Because to have done otherwise, to have acted positively, he knew would have exposed him to the possibility of arrest and prosecution for a criminal offence punishable with imprisonment." Louella was found dead by a security steward in the woodland, 400m from the festival's hospital tent, at around 1am, the jury heard. A post-mortem examination found "2-CP toxicity" and traces of ketamine and MDMA, the court heard. Mr Mousley said a medical expert, Professor Charles Deakin, "didn't believe that Louella's death was inevitable if she had received medical help". Broughton, of Enfield, north London, denies manslaughter and supplying Louella the drug. Defending, Stephen Kamlish QC said Broughton and Louella "were in love with each other" and "soulmates". He said: "You will hear from experts that no one has ever been known to die from taking this drug (2-CP) or taking an overdose." He said Louella had acquired the 2-CP herself, adding: "This is not gross negligence manslaughter."